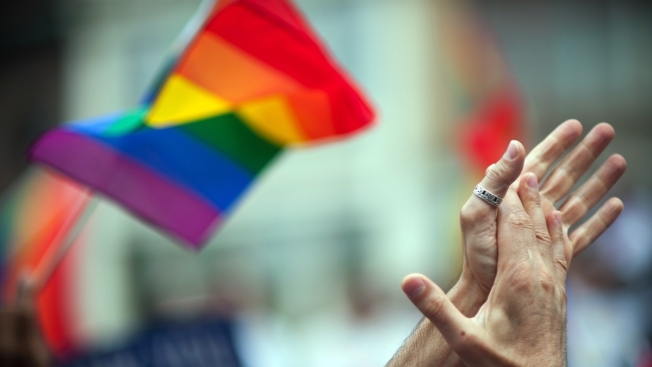 Massachusetts has become the 16th state to pass a conversion therapy ban. Massachusetts Gov. Charlie Baker has reportedly signed a bill banning LGBTQ conversion therapy, a process critics decry as a harmful and medically discredited attempt to change a person's sexual identity. The measure had passed the Democrat-controlled House and Senate by overwhelming margins and went to Baker's desk. The Republican governor signed the bill into law Monday. He had previously indicated that he supported the effort. Massachusetts becomes the 16th U.S. state to pass a conversion therapy ban. Massachusetts Family Institute President Andrew Beckwith pledged to challenge the ban in court, saying it denies mental health treatment to sexually confused youth. The group says the ban also violates First Amendment free speech rights. Ban supporters say conversion therapy can be harmful to children. Arline Isaacson, co-chair of the Coalition to Ban Conversion Therapy for Minors, calls the treatments cruel and barbaric. "Being LGBTQ is not a disease that requires a cure," Isaacson said in a statement last month. "These fraudulent treatments often lead patients to depression, substance abuse, self-harm and suicidality."